Dispatches reporter David Modell films a remarkable six months spent in the questionable company of Mark Collett, leader of the youth wing of the British National Party, and reveals the true nature of a party trying to reinvent itself and broaden its appeal. A rising star of the party, Collet reveals to Modell his deeply held Nazi sympathies. This despite the party’s claim it no longer has any association with Nazism. It’s clear why the BNP want intelligent young men like Mark, a university graduate. BNP leader Nick Griffin tells Dispatches that Collett is a potential leader of the party. But Modell is interested in trying to determine what motivates a bright young man to throw in his lot with a party which will make him reviled in public. 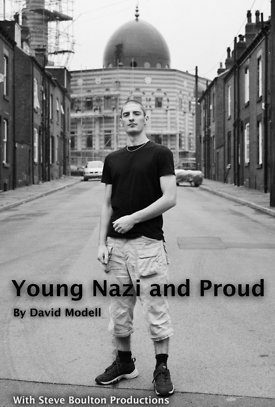 Modell has little in common with his subject and finds himself taking an exception to some of Collett’s interests and occupations – which range through rabid anti-Semitism (‘Jews aren’t white’) to explaining how he likes to “break” people, in particular his ex girlfriend. From Hasidic punk rockers, Yiddish street performers, African-American Jewish activists, this film covers politics, art, fashion, and religion like you have never seen before. This thought-provoking film tells the story of a Holocaust survivor in her own words. Henia was born into a middle-class Jewish family. In the words of Mark O’Brien, “The two mythologies about disabled people break down to one: we can’t do anything, or two: we can do everything.